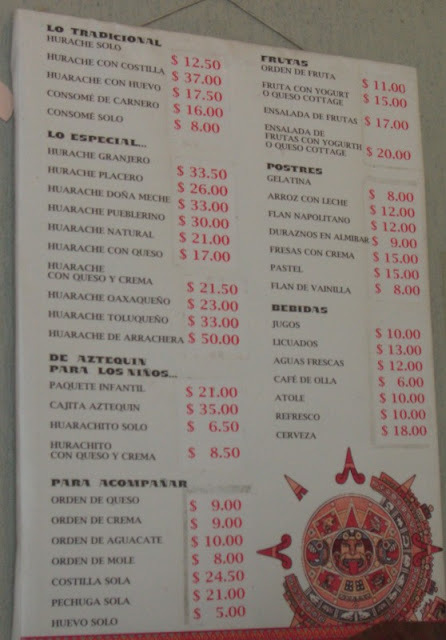 After shopping at Mercado Jamaica (we bought some Chiles Costeños and some Mole Verde en Pulvo - powdered green mole paste), we were getting hungry. 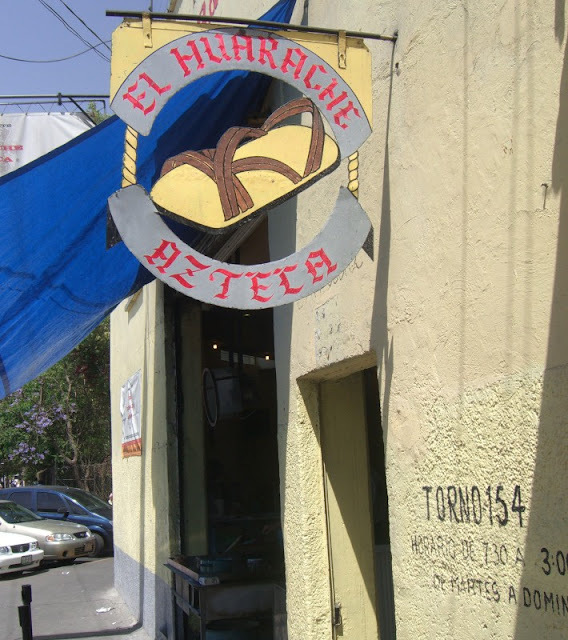 Based on a recommendation from Good Food in Mexico City, we wandered north of the market to a side-street packed with Huarache joints and stopped at El Huarache Azteca. 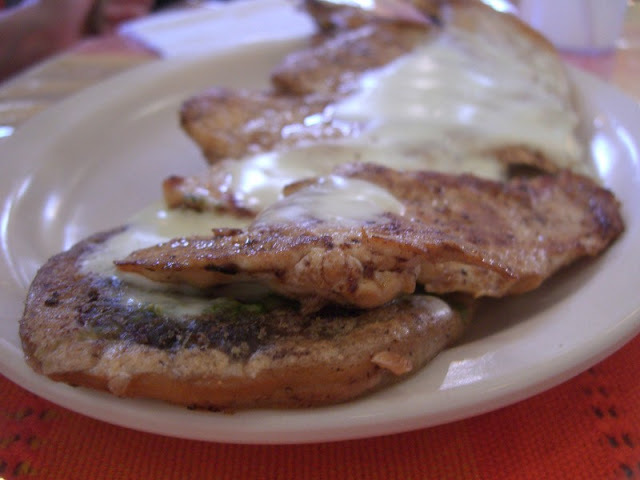 Huaraches, named because they are shaped like the sole of a sandal, are masa pockets filled with refried black beans and then fried. They are then layered with a variety of toppings. 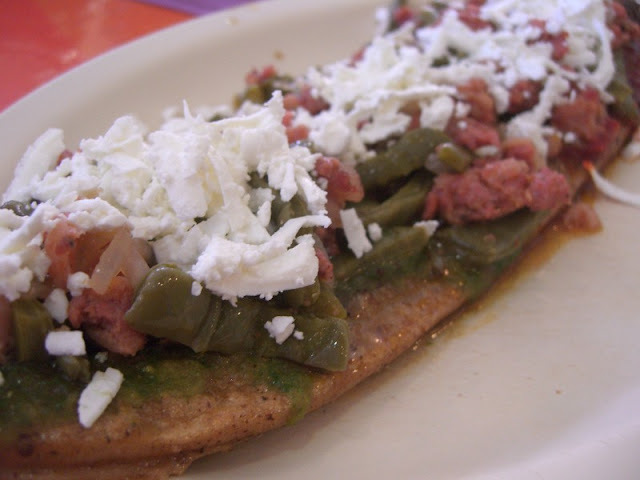 Above is the Huarache Pueblerino, which boasts longaniza, nopalitos and queso fresco. The other one we tried was the Huarache Granjero - topped with a massive slab of marinated, grilled chicken breast and drizzled with crema.